Lori and I are working Hard to keep up with all the orders we receive! We have a few pictures of our most resent and most liked items! I would like everyone to know that we have changed our phone number to 307-340-2361. We hope that with this new phone number we will be able to server you better. Twisted X Boots and Shoes with custom tooled toes!! Wyoming Trader Coats, Vests and Shirts! We have a DVD out on How to make A Pair of Chinks. This DVD is 2 1/2 hours long and comes with patterns. We also have just the patterns for sale as well, both for chinks and shot guns. We plan to make other how to DVDs soon as well like. How to make Shot gun chaps. 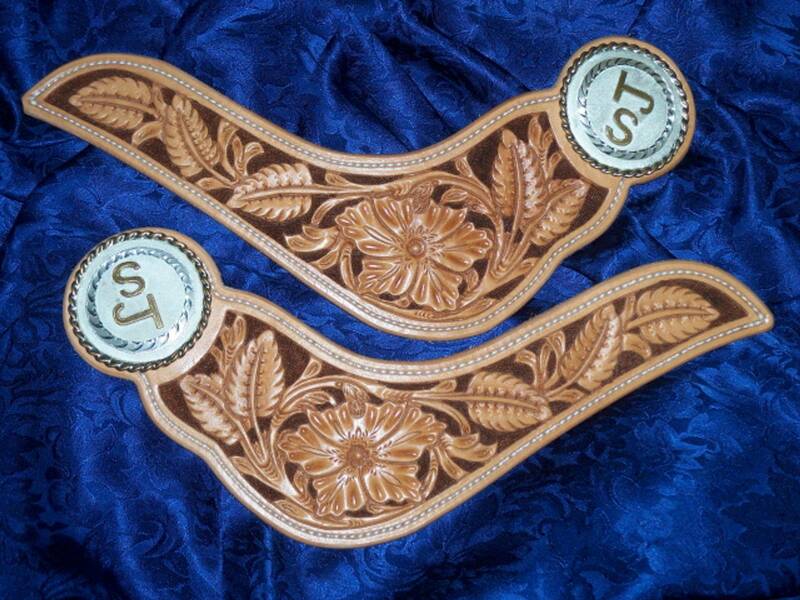 Here at Cow Camp Saddlery we are a custom leather shop. 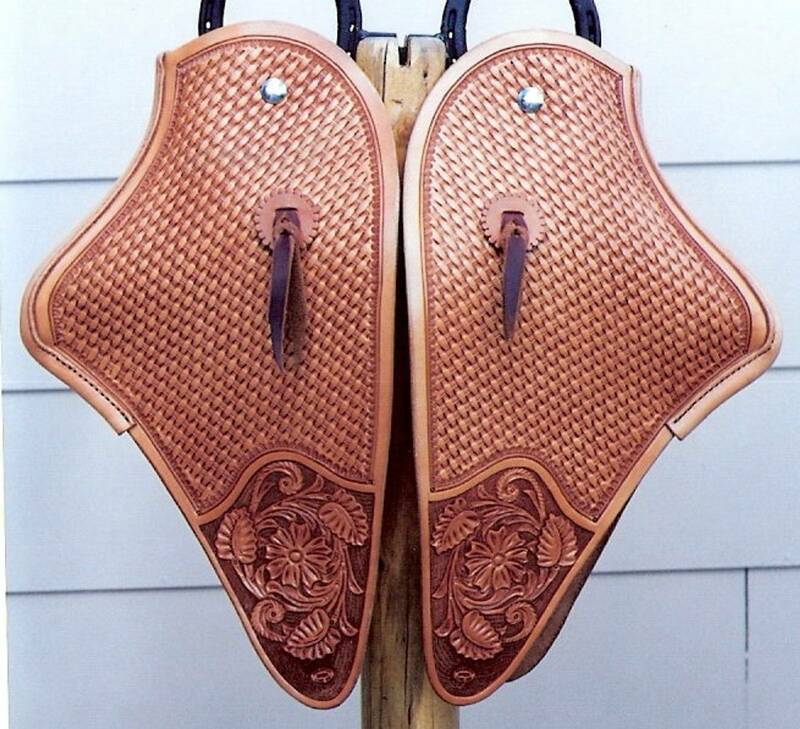 We make the items you need to your specifications by hand using only the best leathers that we can buy. We cut it out by hand one piece at a time, then tool the pattern that you like. We then hand rub all the edges. We can make most anything that you might need. Call us at 307-340-2361 for more information.